Dimensions: L 10.06" x W 6.88" x H 7.94"
The OPTIMA is like no other battery found in today's market. 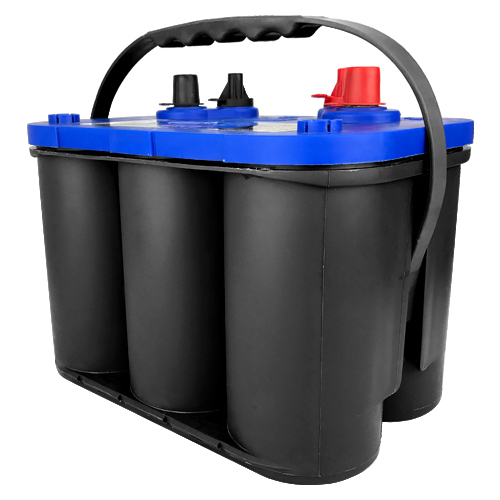 OPTIMA's unique spiral cell design offers the greatest technology in providing a strong and clean power source that far surpasses any of today's filled lead/acid batteries. 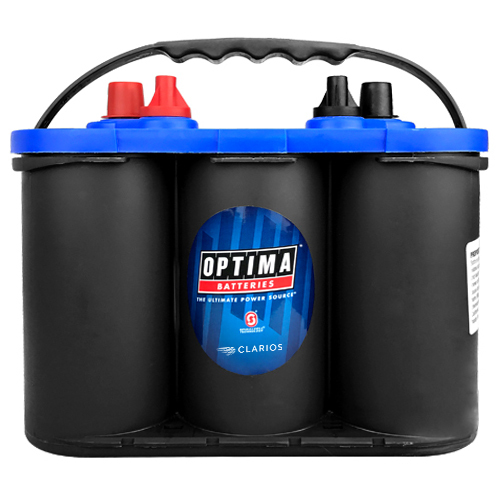 With OPTIMA under your hood, you can count on a longer lasting battery life under starting and deep cycle applications. Today's power demand from cars, trucks, and SUVs are greater than ever. Over the course of the century we have upgraded and customized our vehicles in such a way never imagined by early engineers. There continue to be more lights, LCD screens, gaming systems, stereos, laptops, and cell phones going into cars, all demanding a greater power source. OPTIMA can provide all the power needed to run these power pulling vehicles. OPTIMA batteries always has safety in mind, with its spill-proof case it helps to ensure the safety of the environment, your family and you. Powerful, 3x longer-life, safety, spill-proof, vibration resistance, multi-position installation whether you're working, driving cross country or for just play, let OPTIMA help you maintain the power demands you require. 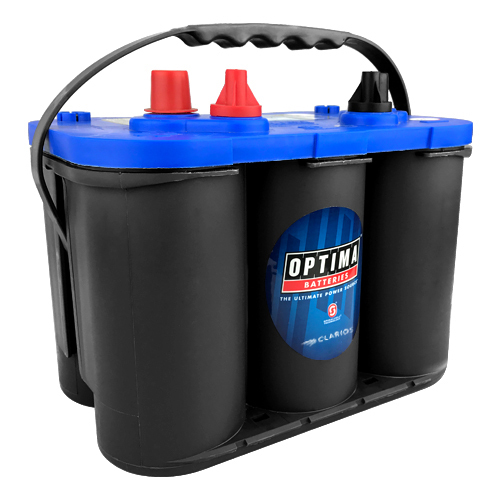 Not Sure which Optima battery you need? Don't worry. Tell us the make, model, year, and if you have special features or requirements.